In the 1847 Brigham Young Company, Orson was part of the 1st Company of Ten led by Wilford Woodruff. 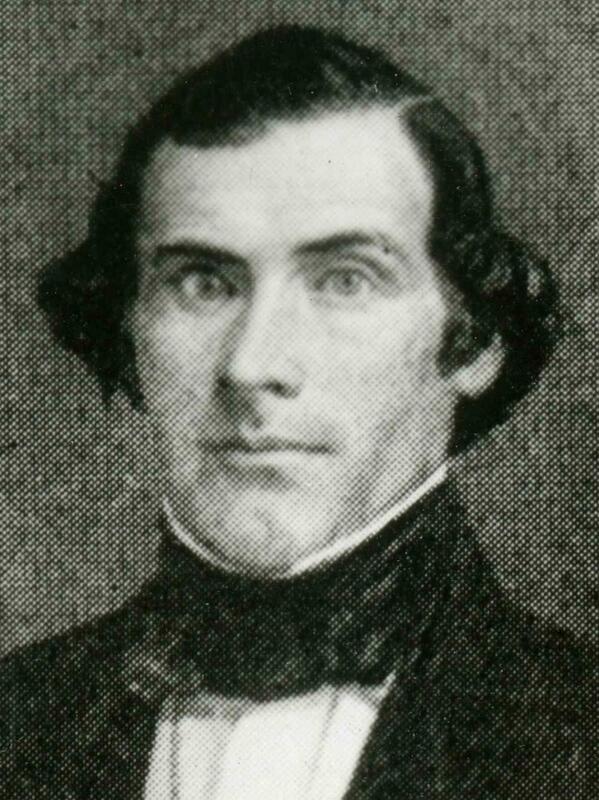 Orson Pratt's family traveled somewhat independently although he was initially organized as a leader in and a part of Cummings's company. He traveled at some times with and assisted John Brown's company. He arrived in Salt Lake city on 4 October. He was the Captain of the 1854 company. His wife accompanied him on this journey. Orson came from California, leaving December 1857, arriving in Utah in 1858. In 1867, he was a returning missionary from Austria. Alfred Cordon Emigrating Company, Journal, 1851 June-Sept.
Barney, Lewis, Autobiography and diary 1878-1883, reel 5, item 5, 32-38. Carroll, Charles Negus, Life sketch, in Library of Congress, Collection of Mormon diaries [1935-1938], reel 2, item 6, 7-8. Everett, Addison, Diary, 1847 April. Historian's Office, Journal 1844-1997, 19 Jan. 1858. Journal History of the Church of Jesus Christ of Latter-day Saints, Supplement after 31 December 1848, 15. Nibley, Charles Wilson, "Account concerning Erastus Snow and the Mormon Pioneers," 1920, 45-46. Pratt, Orson, et. al., to Brigham Young, 8 Aug. 1854, in Brigham Young, Office Files 1832-1878, reel 54, box 41, fd. 2. Pratt, Orson, to Brigham Young, 29 June 1854, in Brigham Young, Office Files 1832-1878, reel 54, box 41, fd. 2. "Reminiscences, 1851-1853." In John D. T. McAllister journals 1851-1906. (MS 1257, Reel 1, Box 1, Folder 1), 6-7. Shumway, Andrew Purley, Reminiscences, 1869. Whitney, Horace K., to My dear wife, 4 May 1847, in Richard E. Bennett, We'll Find the Place: The Mormon Exodus, 1846-1848, 134-35. Woodruff, Wilford, Wilford Woodruff's Journal, vol. 5, 1 Jan. 1857 to 31 Dec. 1861, ed. Scott G. Kenney , 158.